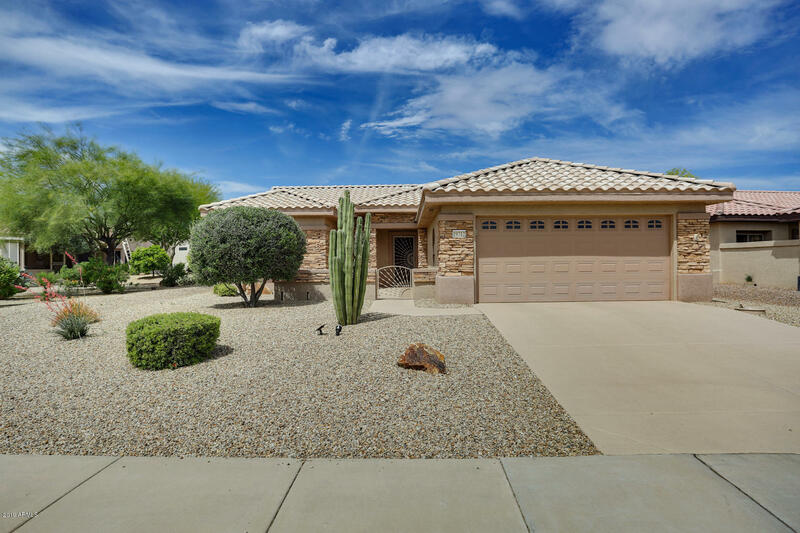 All SUN CITY GRAND SUNRISE VI homes currently listed for sale in Surprise as of 04/23/2019 are shown below. You can change the search criteria at any time by pressing the 'Change Search' button below. "Gorgeous Stonecrest 3/2 w/ office/den AND RARE 3 car Garage. So many features; when you enter, diagonally set large earth-tone tile t/o leads to Kitchen w/ refaced Cabinetry contrasting flooring & countertops. Easy opening drawers as well. New paint t/o in 2015. Indoor Laundry Room. Wooden laminate flooring @ Master & other bedrooms. Raised toilets. Master closet features California Closets organizers w/laminate flooring. 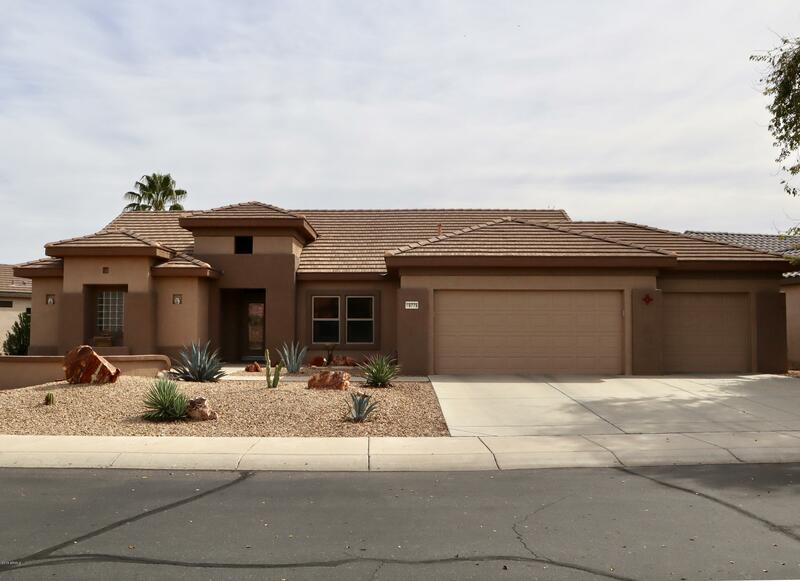 Conveying beautiful Wall Unit in GR is perfect for a large 55'' flat scree"
"A touch of the Scottsdale design trends in this Sun City Grand home on an exceptional, hard to find lot. Located a short walk from the Village Plaza, Adobe Center and amenities, no neighbors directly behind. Front courtyard allows you to enjoy this serene neighborhood. The elevated exterior is accented with stack stone and beautifully landscaped. This home has been expanded with an added den/office. The upgrades you have been looking for: attic raidant heat barrier, garage door with glass pane"